Great is the feat of martyrdom! In the holy Gospel we read the call of our Savior, the Lord Jesus Christ, directed to those who wish to be His followers: "Strive to enter in at the strait gate" (Lk. 13: 24). "Strive" - walk the path of struggle, carry out the Christian struggle in your life. In other words, the Christian must be a struggler in his life. The ways and aspects of Christian struggle are diverse. Turning to the lives of the saints, we find their examples of holy, God-pleasing life under the most varied conditions of life. Among the saints glorified by the Church we find persons of the most disparate ages and widely different states - from mighty sovereigns and exalted hierarchs of the Church, to sinners, hermits and recluses, and those living in the world with families. Yet with the disparity of the external forms and conditions of their life, the spiritual foundation is one and the same - the all-embracing love for Christ and an unshakable loyalty to Him throughout all the temptations, tribulations and persecutions which they had to bear. In particular, this undaunted loyalty to Christ shines forth clearly and triumphantly in the struggle of those whom Christian antiquity called "witnesses" (in Greek, "martyros"). This struggle, the struggle of martyrdom, is the struggle of those who bore witness to their loyalty, commitment and love for Christ by dying for Him, and did not spare even their very lives. And what beautiful, edifying examples of the feat of martyrdom we find in the lives of the saints! Behold, the holy Greatmartyr George the Victorious stands before us! A handsome, noble youth, wealthy, a favorite of the emperor, he was his faithful servant and could rely upon achieving a great measure of "success" in this life. But when he had to bear witness to his faith and loyalty to Christ, he turned from all the good things of this earth, manfully went forth to the tortures of martyrdom and death, and received a martyr's crown from the hand of Him for Whom he had suffered. Behold, the beautiful Christian virgins, the Greatmartyrs Barbara and Catherine! Noble, richly gifted and comely themselves, they did not spare their youth, beauty or their very life, and in them were fulfilled the words of the Apocalypse: "Be thou faithful unto death, and I will give thee a crown of life" (Rev. 2: 10). One must keep in mind that the holy martyrs, men and women both, after courageously enduring the dreadful tortures, and torments to which their tormentors subjected them, went forth to their death as to a banquet; they went not as ones defeated, but as victors. The torturers used all the means at their disposal to induce them to renounce Christ. And only when they saw that their efforts were in vain did they send the faithful witnesses of Christ to their death - an act of sheer, impotent malice. Although in the history of the Church of Christ we see examples of martyrdom in every age of her existence, prior to the Russian Revolution the feat of martyrdom took place chiefly in the first centuries of Christianity, when paganism strove to annihilate the Church with iron and blood. What we see now is something quite different. With the appearance and rise of God-hating communism in Russia, persecutions of the Faith were initiated which have been unprecedented in their cruelty and scope. In the words of one church writer, Orthodox Russia found itself on Golgotha, the Russian Church on the Cross. Of course, as was the case in antiquity, there have been incidents of apostasy. Yet at the same time, the Church of Russia and the Russian people have produced a multitude of cases of the manful endurance of torture and death for faith in Christ. Indeed so great a number as to be incalculable with any precision. For it is beyond doubt that there have been so many cases of martyrdom throughout the long years of communism's existence in Russia, as to surpass any other era in the history of the human race. Here we are not speaking of hundreds or thousands, but of millions who have suffered for the Faith - an unprecedented and incredible phenomenon! Throughout man's entire history, there has not been such an occurrence as we now behold - there has not been such an outpouring of evil, there has not been such a mindless and open rebellion of creation against the Creator as we now see in our much-suffering homeland, which has been enslaved by the communists. Never in history has there risen to Heaven such an abominable, mindless stench of blasphemy against God and all that is holy, as in Soviet Russia. Yet if the enemies of God and the Church, demonic in their malice, have defiled our homeland, the Russian land, with their loathsome blasphemy and hatred for God, it is, at the same time, cleansed of this defilement by the sacred blood of the new-martyrs of Russia who have suffered for the Faith and for righteousness. With this blood the land of Russia is abundantly bedewed - bedewed, sanctified and purified of the mindlessness of the godless and those who struggle against God Himself. The Holy Church, glorifying the new-martyrs, says that by their blood she is adorned, as with purple and fine linen - the richest, most beautiful and costly raiment. With this splendor of the feat of martyrdom, the Russian Church is now adorned - that Church which has not acknowledged the thieves' "authority" of the godless, has refused any dialogue and compromise with it whatsoever, and consequently bears the cross of faith and confession. The day of the glorification is drawing nigh - the glorification of that innumerable assembly of martyrs and confessors of the Faith whom the Church of Russia and the Russian people have revealed to the world. It will be a day of the greatest triumph of the Orthodox Faith - not only in Russia and in the Russian (diaspora?) but in the world in every place where there are faithful children of the Orthodox Church. And every Russian Orthodox person must prepare himself to take part therein in a fitting manner. Now, with the approach of the long-awaited day of the glorification of the new-martyrs, one often hears how the people say that the Church Abroad does not have the right to glorify them, that this can be done only by the whole Church of Russia in its entirety. Of course, this would be so if the Church of Russia were free! But we know well that the portion of the Church of Russia which has not accepted the communists ' "authority" as the lawful authority in Russia and has not submitted to it, has gone into the catacombs, and it is not possible to ask its opinion freely; and the hierarchy of the "official" Church has subjected itself to the authority of the godless and acts according to its orders. Therefore, it cannot be considered the real spokesman for the much-suffering, persecuted Church of Russia. Thus, the Church Abroad considers it her own responsibility to do what cannot now be done in Russia. And we know that from beyond the "Iron Curtain" many, many cries have reached us, not only expressing sympathy for the glorification of the new-martyrs, but begging that the glorification be performed as quickly as possible. Great, yea, vast is the assembly of the new-martyrs of Russia. It is headed by the sacred name of His Holiness, Patriarch Tikhon, and the murdered Metropolitans Vladimir and Benjamin; moreover, Metropolitan Vladimir occupies a special place therein as the protomartyr, whose martyrdom constitutes the beginning of this glorious band. At the same time, quite a special place in the company of the new-martyrs is occupied by the Imperial Family, headed by the Tsar-martyr, Emperor Nicholas Alexandrovich, who once said: "If a sacrifice is necessary for the salvation of Russia, I will be that sacrifice." Much is now being said of the glorification of the Imperial Family. Many, many of the faithful children of the Orthodox Church - and not only among the Russians - await the day of glorification with joy and impatience. But there are also audible voices of dissent, which speak against the glorification of the Imperial Family. And in the majority of cases these voices say that the murder of the Imperial Family was a purely political act, that it was not a martyrdom in the sense of dying for the Faith. Turning to Russian history, we see a great number of examples of how the Church has glorified as saints of God many holy princes who were murdered; moreover, their murders were in no wise dependent upon any demand to renounce their faith in Christ the Savior. For example, from the life of the holy passion-bearers Princes Boris and Gleb, we know with what base and criminal considerations their murders were directed by Svyatopolk, who is rightly called "the accursed." But the question of their renunciation of the Faith did not enter into it in the least. Yet the Church glorified them first of all for their holy and righteous life which ended with the holy brothers' suffering and death. If Sts. Boris and Gleb were thus glorified (as were many others), then it is all the more natural and correct to view in a positive light the glorification of the Imperial Family. First of all, now, when the memory of the imperial victims has been cleansed of the filth and slander hurled at them in the years immediately following the Revolution, it has become known to the whole world that the family of the Holy Tsar-martyr was a model, a most splendid example of a true, Christian family. 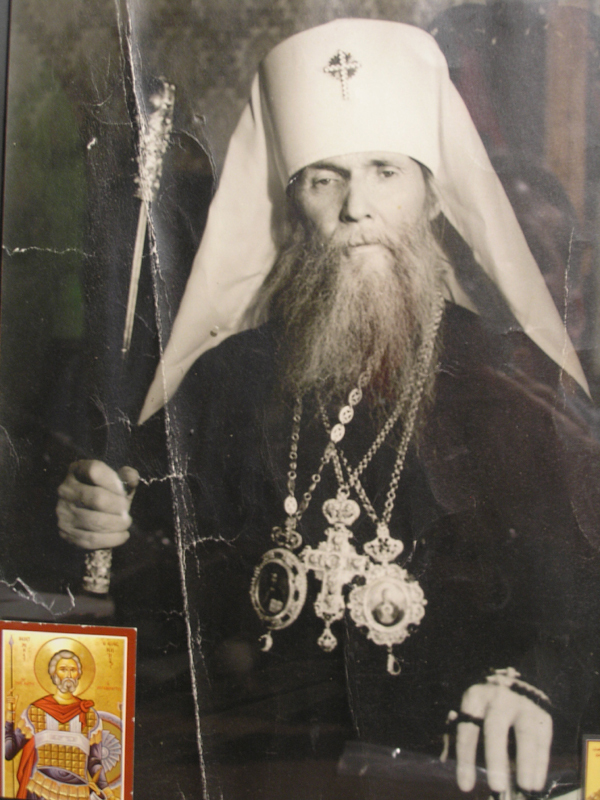 In particular, this became clear when we learned how the Imperial Family lived in their grievous imprisonment before their repose, and also when letters written by members of that family from prison were published - a priceless treasure, which they have left behind for the edification of the Russian Orthodox people who honor their sacred memory. But this is not the crux of the matter. One should not forget that the communist malefactors, in slaying the Imperial Family, did so to annihilate the very memory of how Russia had lived for the many centuries of her existence. They have tried to smash, to put an end to, to destroy within the much-suffering Russian people that radiant spirit by which Holy Orthodox Russia lived - the spirit of the Orthodox state, and to implant in it the abominable spirit of God-hating and fratricidal communism. The criminal murder of the Imperial Family was not merely an act of malice and falsehood, not merely an act of political reprisal directed against enemies, but was precisely an act principally of the spiritual annihilation of Russian Orthodoxy, the aim of which was to instill an unnatural and evil communist spirit in the Russian people. The last tsar was murdered with his family precisely because he was a crowned ruler, the upholder of the splendid concept of the Orthodox state; he was murdered simply because he was an Orthodox tsar; he was murdered for his Orthodoxy! Russian Orthodox people! Children of the Russian Church Abroad! We are preparing ourselves for a great triumph -- a triumph not only of the Russian Orthodox Church, but of the whole Church Universal, for the entire Orthodox Church is one in all her parts and lives a single spiritual life. Let this triumph of the Orthodox Faith and the beauty of the feat of martyrdom be not only a Church-wide triumph, but a personal triumph for each of us! We call upon all the children of the Church Abroad to ready themselves for it with earnest prayer, preparation, confession, and the communion of the holy Mysteries of Christ, that our whole Church, with one mouth and heart, may glorify Him from Whom comes every good gift and every perfect gift - God Who is wondrous in His saints.